Innes Ruins at Lake Innes Nature Reserve, near Port Macquarie, is a great place to learn more about early European settlement history in NSW. 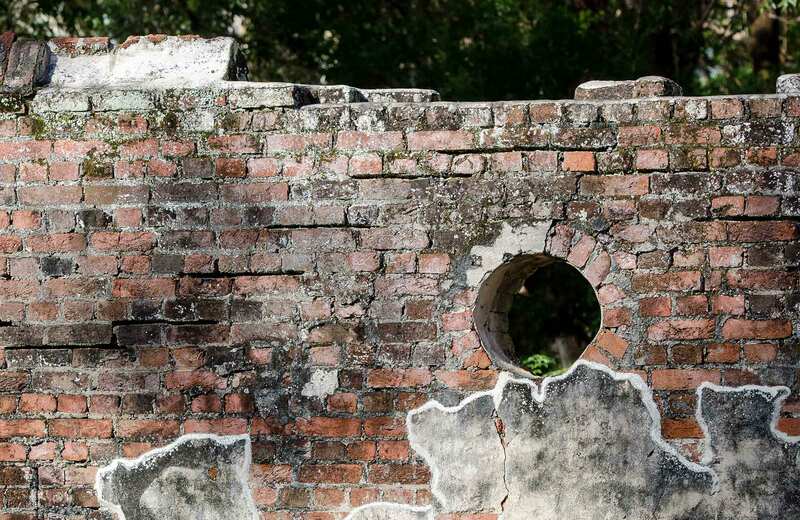 The ruins are open for guided tours only, so join us to discover its fascinating history. For more information and to book a tour (bookings are essential), contact Port Macquarie Visitor Information Centre on 1300 303 155 (within Australia only) or 02 6581 8000. 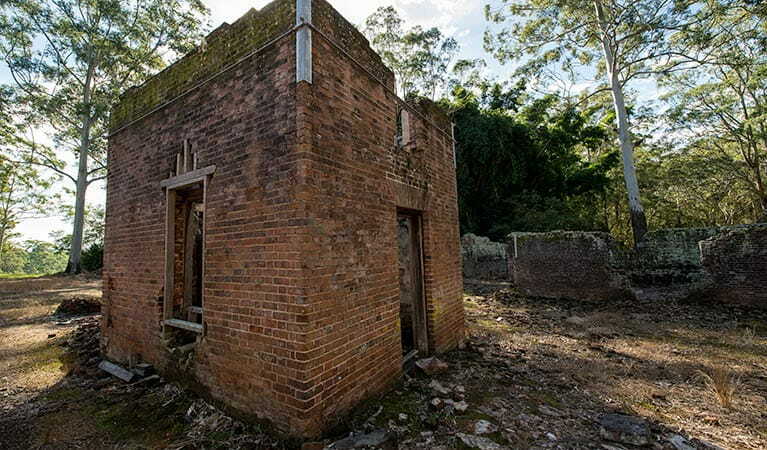 Innes Ruins has a charming setting looking over Lake Innes and is an important remnant of early settlement days on the north coast of NSW. Built by Major Archibald Clunes Innes, it contains rich history about the settlement of NSW, convict labour and the culture of the 1800s. The Depression of the 1840s brought financial ruin to Innes, and the closure of Port Macquarie as a penal settlement deprived him of convict labour. Following his departure, the house was occupied by a number of people over time, but was derelict by the beginning of the 1900s. It subsequently deteriorated to its present state as a result of natural decay and vandalism. 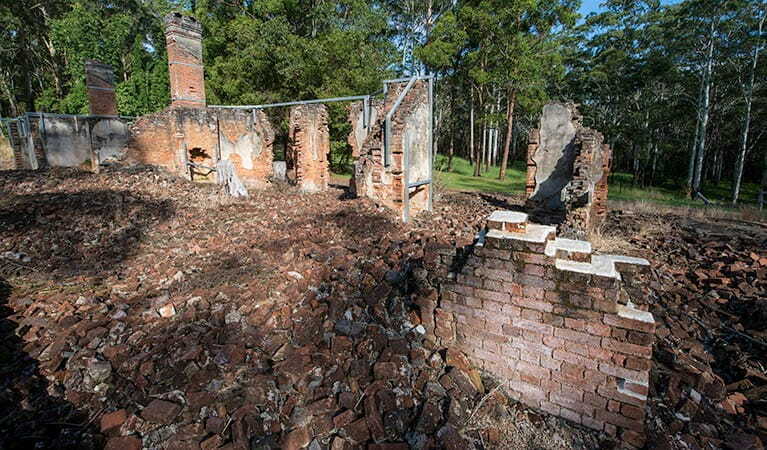 Today, the ruins are classified by the National Trust of Australia (NSW) and guided tours can be booked through the Port Macquarie Information Centre. Access to the site is by guided tour only. 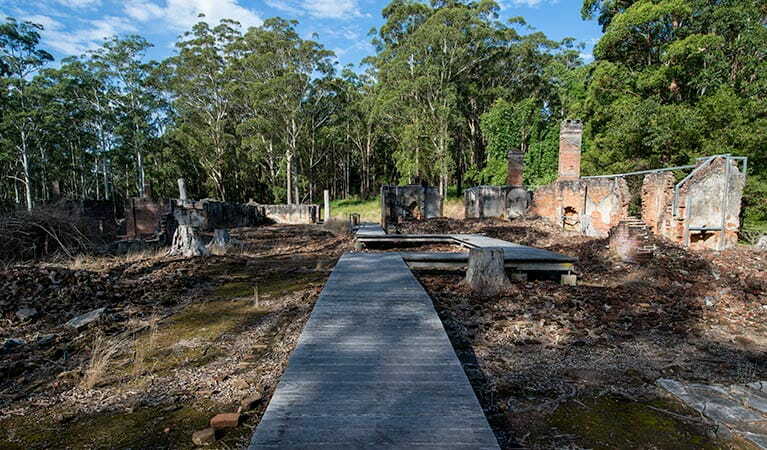 If you have an interest in Australian history, you definitely shouldn’t miss the chance to take a guided tour of this fascinating site, which is suitable for visitors of all ages. 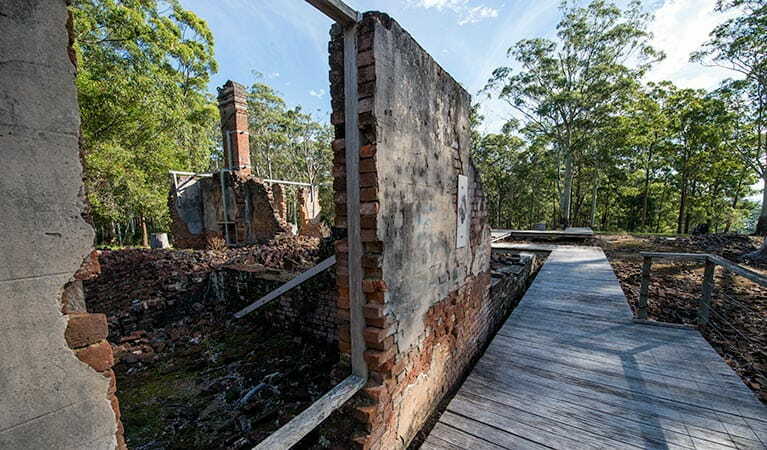 Walk through Australian history at Innes Ruins in Lake Innes Nature Reserve. On this guided tour, learn about the original occupants of the estate and the convicts who built it. Lake Innes Nature Reserve is always open but may have to close at times due to poor weather or fire danger.